A solutions-driven magazine, Fresh Living actively engages with consumers, sharing inspiration for accessible weeknight meals, money-saving recipes, healthy eating plans and up-to-date reports on topical issues. The March issue will include a ‘visit’ to Editor Justine Drake’s house to celebrate a colourful Easter with family and friends; a selection of stir fry recipes that are the perfect any-time summer meal – quick, healthy and delicious; a look at seemingly odd ingredients in classic recipes that make them shine; and of course loads of chocolate and the perfect Easter gift guide. “Celebrating Easter with family and friends is a long-standing tradition in my family”, says Justine Drake, the magazine’s award-winning editor, celebrity chef and presenter of the PnP-sponsored Just Cooking BBC television show. “There are five essential must-haves that I include in every Easter celebration”. Fuss free meat option – I don’t want to spend time slaving over a roast. A butterflied leg of lamb cooked over a hot fire is the perfect solution. Pickled fish is a must, but I like to give it a twist – this year I’m making pickled fish pate, served with lemon toasts. A beautiful salad – get creative, use seasonal ingredients – broccoli with chickpeas, avo and mint sauce or beetroot with seeds and goats cheese. A fabulous alternative to traditional veg and salad. Duck fat roast potatoes – I might be going for the fuss free meat option, but there is no short cut for the perfect roast potatoes and duck fat is the secret ingredient. Chocolate!! From speckled eggs and chocolate marshmallows to home-made Easter egg rocky road shards. There is no Easter celebration without chocolate. The magazine’s increased print run also means an increase from 100 to 140 pages and an opportunity to showcase more food and entertaining, health and beauty, home, décor and gardening, family and kids, and other content relevant to Pick n Pay’s wide range of shoppers. In the March issue that means, over and above all the food and Easter content, the magazine will include a look at consumer rights, how to deal with high blood pressure and a clever girls guide to investing. John Brown Media South Africa, publishers of Fresh Living since its launch in November 2007, believes the magazine is a testament to the power and success of content marketing with research showing that 81% of readers buy products based on what they read in the magazine. The increased print run means the magazine will now reach an estimated audience of 2.5 million readers, making it the most powerful form of marketing engagement across both customer and consumer food magazines in the country. 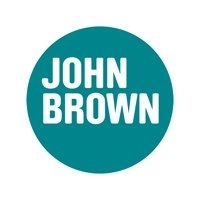 John Brown South Africa is part of a leading global content agency with clients such as Pick n Pay, Edgars, Discovery, Spur, BMW, MINI and Total locally, and Waitrose, John Lewis, Orange, RBS and Spinneys abroad. Their track record in helping their clients maximise customer engagement on multiple platforms is evident in both the diversity and longevity of the client portfolio. John Brown has offices in Cape Town, Johannesburg, London, Hong Kong and Dubai. John Brown is part of the Dentsu Aegis Network.